Handle your workload more efficiently. 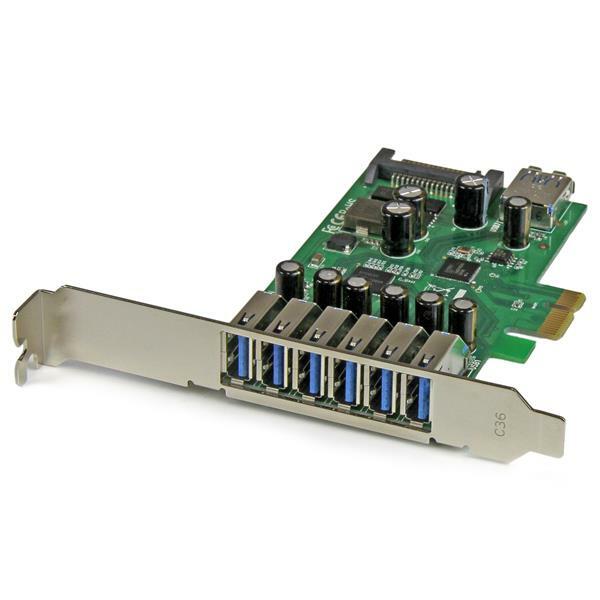 This USB 3.0 card expands your computer’s capabilities by giving you seven extra USB 3.0 ports. It’s engineered with an innovative stacked port layout to fit easily into both low-profile and standard desktop computers. More ports means you can add USB devices as you need them. 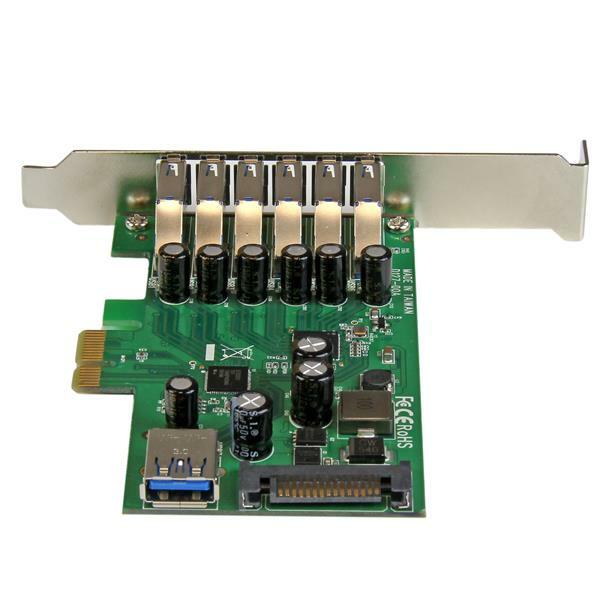 This robust USB 3.0 card gives you seven USB 3.0 ports - six external and one internal - so you can plug in your tablets, smartphones, external hard drives, CD/DVD drives, printer and other devices at the same time. With so many extra ports, you can leave your devices plugged in, so they’re ready to use when you need them. 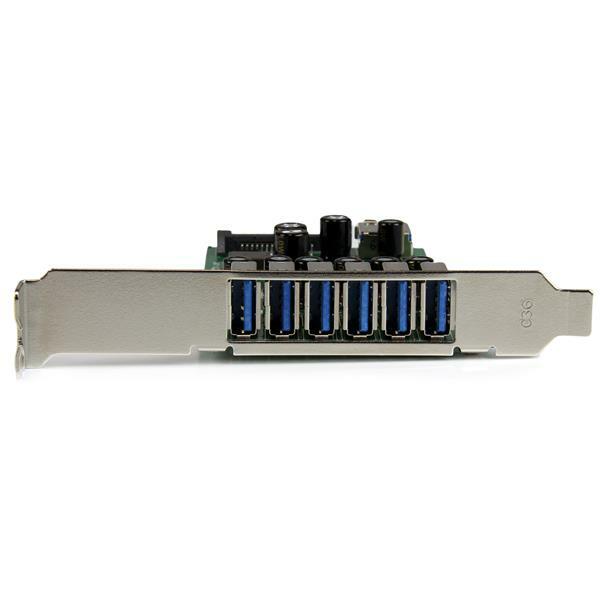 It’s also economical - by being able to connect so many devices, you save the cost of extra hubs or cards. You'll be up and running in no time. The card automatically installs in Windows® 8.1 or later, with native operating system support. It’s also backward compatible with USB 2.0 and 1.x devices to help you get the most out of your existing peripherals. 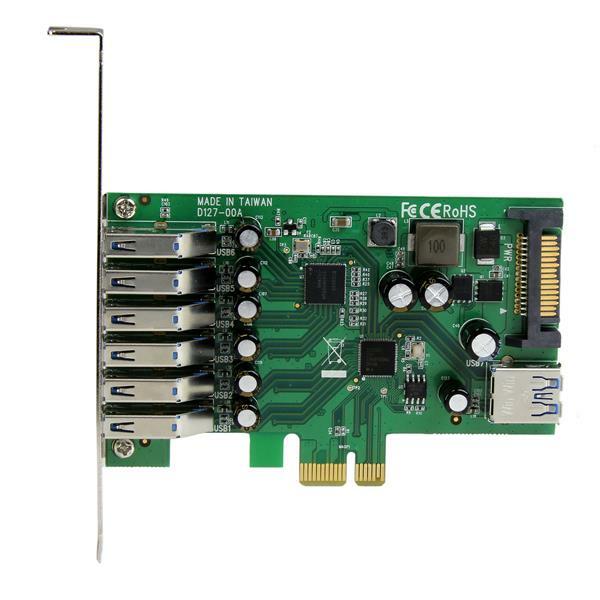 The rugged build quality of the card delivers long-lasting performance, and gives you peace of mind when connecting multiple devices. The PEXUSB3S7 is backed by a StarTech.com 2-year warranty and free lifetime technical support. 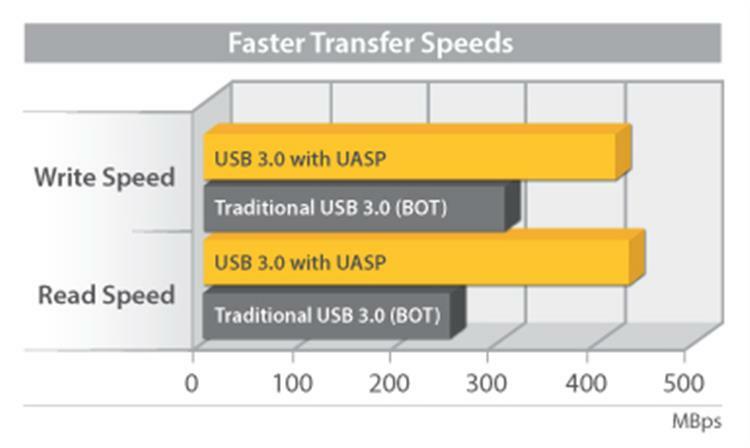 Note: UASP (USB Attached SCSI Protocol) is supported in Windows 8.1 or later, and Linux kernel 2.6.37 or later. 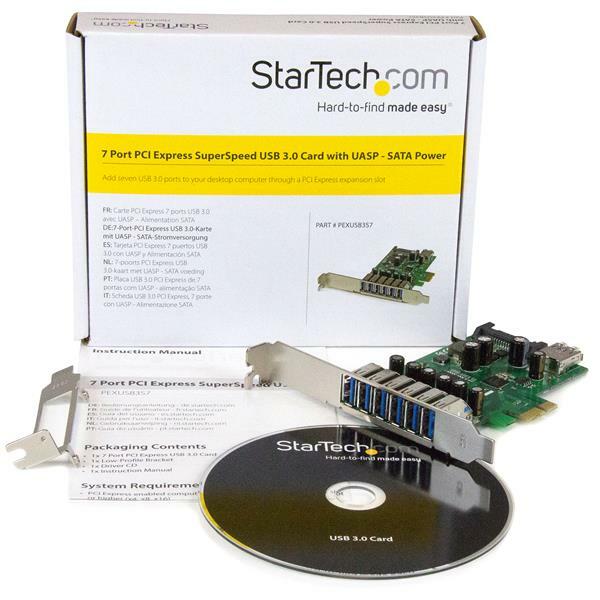 Test results were obtained using an Intel® Ivy Bridge system, StarTech.com add-on USB 3.0 cards, a UASP-enabled StarTech.com enclosure, and a SATA III solid state drive.